I am a mover (not so much a shaker) so I am constantly on the go. I come from a family of major bookworms and I take advantage of any time while I am about and about (or 15 free minutes at home) to read. I grew up military, under the slogan “if you are on time, you’re late!” so when we headed to the movies every weekend we usually ended up being there 30-60 minutes ahead of the movie. Back in the day there was no pre-movie entertainment, there was silence. If you came into the movie theater back then, you would have see the Fisher family of four with their noses in a book waiting for the film to start! Before smart phones and devices were around, I constantly had a book in my bag. For the above mentioned movies. For the wait in the DMV line, or doctor’s office or during an oil change. Anywhere and everywhere. Then carrying around books became so much easier! Dozens and dozens of books in a single device. I no longer had to worry about the weight of the 5 books I was bringing along for vacation reading, all the books I wanted to read fit in my hand! Even on a “regular day” when I am commuting to work, which depending on the day can be 25 minutes or 90 minutes, I pass the time with a book. Life is so busy that I grab my reading time whenever I can. I have started catching the NY Times headlines while waiting for my milk to steam in the morning, in 5 minutes I get a quick view of what is going on in the world. In addition, I travel a lot and reading is my main source of entertainment for long flights and and long nights. I rarely turn on the TV in a hotel room, I’d rather read. Enter my new friend the NOOK GlowLight Plus. First I must confess, I am a HUGE fan of Barnes & Noble, I have been visiting their stores for years! Yes, I can (and do) buy my books online, but I love wandering through the aisles to discover new books to read. I’ve also had their fidelity card like forever! So of course when the original Nook eReader came I had one! The NOOK GlowLight Plus is beautifully designed (I love how it looks), lightweight (I love how it feels) and ready for reading in low light or bright sun. It fits perfectly in the Samsonite bag that I have used every single day since getting it at the WITs (Women in Travel summit) in Boston in March. Don’t tell Mr. Misadventures, but oftentimes he hits the pillow before me. That means lights out. That’s when I usually sneak in about a half hour of reading before falling asleep myself. The high-resolution display with enhanced contrast makes reading easy on the eyes. The glare-free screen and adjustable ambient lighting allows me to enjoy any book in dim light or total darkness. I haven’t yet tried out the water-proofing (hello pool splashes) or how the display is in the bright sun, but I am heading to Phoenix and going to do some pool-reading and given my experience thus far, I am sure I am about to have many hours of sunny book-worming (there are over 4 million books in the NOOK Store)! Unlike other brands where you can’t take your eReader into a retail store, at Barnes & Noble you can! The new NOOK GlowLight Plus and ALL NOOK devices come with free lifetime in-store support. If you’re not sure how eReaders work or want to touch one before buying, you can visit your local Barnes & Noble to experience the NOOK GlowLight Plus firsthand, receive complimentary, personal support, speak with expert booksellers and take advantage of in-store features like free Wi-Fi and Read in Store, which allows you to read any NOOK Book for free for up to one hour per day. I personally checked out the Barnes & Noble NOOK at my store at Baystreet in Emeryville, it is right next door to our regular movie theater (old habits die hard!) and I always pop in before or after seeing a film. I have been eyeing all the accessories for my new NOOK. The new NOOK GlowLight Plus is only available at Barnes & Noble stores and online. It’s just $129.99 (but there is an additional 10 % off for Barnes & Noble Members). The NOOK is ad-free at NO additional cost unlike other eReader products that require a higher price to remove special offers. I consider my eReader a must-have travel gadget, but truth be told, I carry my around nearly every day. But I was born and raised by bookworms so I can’t help it! NOOKs make great gifts for loved ones on your holiday list. 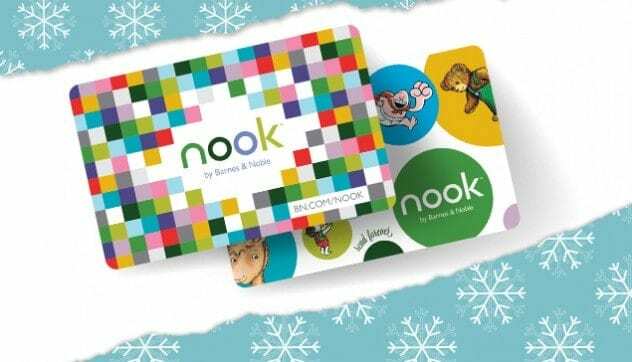 Once you give one as a gift, you can then present them with NOOK gift cards for any occasion to keep them in books for months to come! NOOK gift cards can be redeemed in Barnes & Noble stores nationwide, online at BN.com and on NOOK devices. Plus, NOOK gift cards never expire and have no hidden fees. I’ll get you started with a chance to win a $20 Barnes & Noble NOOK gift card. Just visit the NOOK GlowLight Plus page on Barnes & Noble’s site and complete the Rafflecopter entry below. How about you? Have you seen the new NOOK? Tried it out? Love it? Want to try it out? Do tell! that’s so nice that it’s waterproof and dustproof!! i have a kindle.. well, i took jacob’s kindle and use it as mine. i actually shattered mine while whale watching. i accidentally put too much pressure on it with my elbow while suddenly trying to get my money shot. oh well!! i wonder if these could handle a blow from my elbow. It looks like it can take a beaten i like it THANKS FOR SHARING THIS GREATLY APPRECIATED. I like Nooks, got one for my daughter and this one looks great ! That is really cool that it is lighted. Thank you for sharing your review. I would like to get a nook sometime. Thank you for sharing. I’m loving the look of the NOOK, and I bet it would be relatively easy to purchase ebooks for it no matter where you are (I’m Canadian, and we don’t have B&Ns around unfortunately.) I was laughing at moments of your post, ’cause I too would bring books with me while I’d wait 45mins for movies to start, and always reading for 30-60 mins while my husband snores beside me. (My bad.). Next time I’m in the US, I’m going to make a point of visiting an B&N! My husband is an avid reader. He would absolutely LOVE this. Ah, the days of having a book in my back pocket 😉 I have to say that NOOK is pretty stylish and very practical. I haven’t seen one up close yet, but I really like the look of yours. With two kids “accidents” happen all the time, so the extra features, like waterproof are awesome! I haven’t seen the Nook before and it looks fantastic! I often find myself reading several books at a time and when e readers came out I was thrilled but it has been so hard to chose. I love the idea that it is waterproof and the accessories I like much more than those I have seen for other similar products. I can’t wait to check it out. Hadn’t seen this new Nook in person yet. Been looking for a gift idea for my mom – this looks like a good choice! I want one! I have been avoiding buying one because nothing beats a real book I can hold. But I have so many books I want to read and the online books are so much cheaper – in the long run this is the way to go. I love that this is lighted. It’s a great item to enjoy by the pool or when trying to relax. That looks so cool! I love that the Nook is waterproof. I will add this to my Christmas wishlist. I am also an avid reader but have yet to get an e reader of any kind. I do have the free kindle on my computer. As I am aging my eyes are getting really bad and it is harder and harder for me to read an actual book–I need light and lots of it. That glow screen sounds like a life saver for me. That looks perfect. I need one of these! Oooooo I’m all into reading these days so I really should get myself a nook!!! Loving that its waterproof! honestly.. Ive never owned a nook. I have kindle on both computers and my phone, but have had an internal struggle about spending more money on a nook. plus im sooo in love with the smell of books ugh.. change is hard. I know I need to move on but dang it.. I have a Kindle and my only complaint is that I can’t read when the lights are low, like just before falling asleep. This sounds like my solution! Oh I love that it’s waterproof and dust proof! I am always so paranoid that I’m going to ruin mine!